Future breakthroughs in fuel cell technology will forever change our concept of the automobile, transforming the way vehicles are designed, manufactured and serviced. Fuel cells have the potential to revolutionize every facet of our lives, powering not only our mode of transportation, but our homes, schools, work and entertainment as well. Widespread use of fuel cells may hold the answers to some of our most significant energy shortage challenges for the future and could mark a historical turning point, reducing dependence on fossil fuels, improving the environment and creating a whole new hydrogen-driven economy. Our mission is to accelerate the development and commercialization of fuel cells for stationary, mobile, and portable applications by improving the fuel cell performance, reliability, and durability while reducing the cost of fuel cell components and systems through innovations in materials, design and manufacturing processes; and technological leadership in R&D, testing and evaluation. Research and development of fuel cells. New designs for portable, mobile and stationary applications. Advanced modeling and design analysis tools. Materials and component performance, reliability, durability. Manufacturing processes and production economics. Fuel processing, hydrogen production and storage, and related technology. Continuing education in fuel cell technology. Interface between university and industry. This research investigates the displacement, deformation, and stresses inside novel micro tubular design ambient air-breathing proton exchange membrane fuel cell. An operating air-breathing PEM fuel cell has varying local conditions of temperature, humidity. As a result of in the changes in temperature and moisture, the membrane, GDL and bipolar plates will all experience expansion and contraction. Because of the different thermal expansion and swelling coefficients between these materials, hygro-thermal stresses are introduced into the unit cell during operation. In addition, the non-uniform current and reactant flow distributions in the cell result in non-uniform temperature and moisture content of the cell which could in turn, potentially causing localized increases in the stress magnitudes, and this leads to mechanical damage, which can appear as through-the-thickness flaws or pinholes in the membrane, or delaminating between the polymer membrane and gas diffusion layers. Therefore, in order to acquire a complete understanding of these damage mechanisms in the membranes and gas diffusion layers, mechanical response under steady-state hygro-thermal stresses have been studied under real cell operation conditions. Damage mechanisms in a proton exchange membrane (PEM) fuel cell are accelerated by mechanical stresses arising during fuel cell assembly (bolt assembling), and the stresses arise during fuel cell running, because it consists of the materials with different thermal expansion and swelling coefficients. Therefore, in order to acquire a complete understanding of the damage mechanisms in the membrane and gas diffusion layers, mechanical response under steady-state hygro-thermal stresses should be studied under real cell operating conditions and in real cell geometry (three-dimensional). In this work, the mechanical behaviour of the membrane, catalyst layers, and gas diffusion layers during the operation of a unit cell has been studied and investigated. The results show that the non-uniform distribution of stresses, caused by the temperature gradient in the cell, induces localized bending stresses, which can contribute to delaminating between the membrane and the gas diffusion layers. These results may explain the occurrence of cracks and pinholes in the membrane during regular cell operation. Detailed analyses of the fuel cell durability under various operating conditions (operating, design, and material parameters) have been conducted and examined. The analysis helped identifying critical parameters and shed insight into the physical mechanisms leading to a fuel cell durability under various operating conditions. Optimization study of a PEM fuel cell durability has been performed. To achieve long cell life, the results show that the cell must be operate at lower cell operating temperature, higher cell operating pressure, higher stoichiometric flow ratio, and must have higher GDL porosity, higher GDL thermal conductivity, higher membrane thermal conductivity, narrower gases channels, thicker gas diffusion layers, and thinner membrane. In these optimum conditions, the maximum deformation (displacement) is reduced by about 50% than the base case operating conditions. The presence of microelectromechanical system (MEMS) technology makes it possible to manufacture the miniaturized fuel cell systems for application in portable electronic devices. The majority of research on micro-scale fuel cells is aimed at micro-power applications. There are many new miniaturized applications which can only be realized if a higher energy density power source is available compared to button cells and other small batteries. In small-scale applications, the fuel cell should be exceptionally small and have highest energy density. One way to achieve these requirements is to reduce the thickness of the cell (compacted-design) for increasing the volumetric power density of a fuel cell power supply. A novel, simple to construct, air-breathing micro-structured PEM fuel cell which work in still or slowly moving air has been developed. The novel geometry enables optimum air access to the cathode without the need for pumps, fans or similar devices. In addition, the new design can achieve much higher active area to volume ratios, and hence higher volumetric power densities. Damage mechanisms in a proton exchange membrane fuel cell are accelerated by mechanical stresses arising during fuel cell assembly (bolt assembling), and the stresses arise during fuel cell running, because it consists of the materials with different thermal expansion and swelling coefficients. Therefore, in order to acquire a complete understanding of the mechanical behaviour of the catalyst layers during regular cell operation, mechanical response under steady-state hygro-thermal stresses should be studied under real cell operating conditions and in real cell geometry (three-dimensional). In this work, full three-dimensional, non-isothermal computational fluid dynamics model of a PEM fuel cell has been developed to investigate the behaviour of the cathode and anode catalyst layers during the cell operation. A unique feature of the present model is to incorporate the effect of hygro and thermal stresses into actual three-dimensional fuel cell model. In addition, the temperature and humidity dependent material properties are utilize in the simulation for the membrane. The model is shown to be able to understand the many interacting, complex electrochemical, transport phenomena, and deformation that have limited experimental data. The need for improved lifetime of air-breathing proton exchange membrane (PEM) fuel cells for portable applications necessitates that the failure mechanisms be clearly understood and life prediction models be developed, so that new designs can be introduced to improve long-term performance. An operating air-breathing PEM fuel cell has varying local conditions of temperature and humidity. As a result of in the changes in temperature and moisture, the membrane, GDL and bipolar plates will all experience expansion and contraction. Because of the different thermal expansion and swelling coefficients between these materials, hygro-thermal stresses are introduced into the unit cell during operation. In addition, the non-uniform current and reactant flow distributions in the cell result in non-uniform temperature and moisture content of the cell which could in turn, potentially causing localized increases in the stress magnitudes, and this leads to mechanical damage, which can appear as through-the-thickness flaws or pinholes in the membrane, or delaminating between the polymer membrane and gas diffusion layers. In this work, the effects of ambient conditions (ambient temperature and relative humidity) on the temperature distribution, displacement, deformation, and stresses inside a planar PEM fuel cell has been studied and investigated. The results showed that the ambient conditions (ambient temperature and relative humidity) have a strong impact on the temperature distribution and hygro-thermal stresses inside the cell. Optimization study of a PEM fuel cell performance has been performed. The study quantifies and analyses the impact of operating, design, and material parameters on fuel cell performance and get an optimal design for PEM fuel cells to generate maximum power. To generate maximum power, the results show that the cell must be operate at higher cell operating temperature, higher cell operating pressure, higher stoichiometric flow ratio, and must have higher GDL porosity, higher GDL thermal conductivity, narrower gases channels, and thinner membrane. At these optimum conditions, the result shows that the total displacement and the degree of the deformation inside the MEA were decreased. However, the Miss stress in the membrane was increased due to higher cell operating temperature. The presence of microelectromechanical system (MEMS) technology makes it possible to manufacture the miniaturized fuel cell systems for application in portable electronic devices. The majority of research on micro-scale fuel cells is aimed at micro-power applications. There are many new miniaturized applications which can only be realized if a higher energy density power source is available compared to button cells and other small batteries. In small-scale applications, the fuel cell should be exceptionally small and have highest energy density. One way to achieve these requirements is to reduce the thickness of the cell (compacted-design) for increasing the volumetric power density of a fuel cell power supply. A novel disk-shaped air-breathing micro-structured PEM fuel cell which work in still or slowly moving air has been developed. The novel geometry enables optimum air access to the cathode without the need for pumps, fans or similar devices. In addition, the new design can achieve much higher active area to volume ratios, and hence higher volumetric power densities. Durability is one of the most critical remaining issues impeding successful commercialization of broad PEM fuel cell transportation energy applications. Automotive fuel cells are likely to operate with neat hydrogen under load-following or load-levelled modes and be expected to withstand variations in environmental conditions, particularly in the context of temperature and atmospheric composition. In addition, they are also required to survive over the course of their expected operational lifetimes i.e., around 5,500 hrs, while undergoing as many as 30,000 startup/shutdown cycles. The damage mechanisms in a PEM fuel cell are accelerated by mechanical stresses arising during fuel cell assembly (bolt assembling), and the stresses arise during fuel cell running, because it consists of the materials with different thermal expansion and swelling coefficients. Therefore, in order to acquire a complete understanding of the damage mechanisms in the membrane, mechanical response under steady-state hygro-thermal stresses should be studied under real cell operating conditions and in real cell geometry (three-dimensional). In this work, full three-dimensional, non-isothermal computational fluid dynamics model of a PEM fuel cell has been developed to simulate the stresses inside the PEM fuel cell, which are occurring during fuel cell assembly (bolt assembling), and the stresses arise during fuel cell running due to the changes of temperature and relative humidity. A fuel cell is most interesting new power source because it solves not only the environment problem but also natural resource exhaustion problem. CFD modeling and simulation for heat and mass transport in PEM fuel cells are being used extensively in researches and industrial applications to gain better understanding of the fundamental processes and to optimize fuel cell designs before building a prototype for engineering application. In this research, full three-dimensional, non-isothermal computational fluid dynamics model of a tubular-shaped proton exchange membrane (PEM) fuel cell has been developed. This comprehensive model accounts for the major transport phenomena such as convective and diffusive heat and mass transfer, electrode kinetics, transport and phase-change mechanism of water, and potential fields in a tubular-shaped PEM fuel cell. The model explains many interacting, complex electrochemical, and transport phenomena that cannot be studied experimentally. Three-dimensional results of the species profiles, temperature distribution, potential distribution, and local current density distribution are presented and analysed, with the focus on the physical insight and fundamental understanding. The objective was to develop a semi-empirical model that would simulate the performance of proton exchange membrane (PEM) fuel cells without extensive calculations. A fuel cell mathematical module has been designed and constructed to determine the performance of a PEM fuel cell. 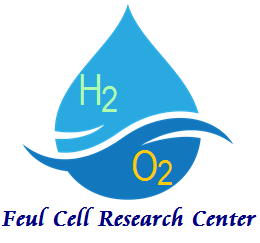 The influence of some operating parameters on the performance of PEM fuel cell has been investigated using pure hydrogen on the anode side and oxygen on the cathode side. The present model can be used to investigate the influence of process variables for design optimization of fuel cells, stacks, and complete fuel cell power system. The possible mechanisms of the parameter effects and their interrelationships are discussed. In order to assess the validity of the developed model a real PEM fuel cell system has been used to generate experimental data. The comparison shows good agreements between the modelling results and the experimental data. The model is shown a very useful for estimating the performance of PEM fuel cell stacks and optimization of fuel cell system integration and operation. Micro-fuel cells are considered as promising electrochemical power sources in portable electronic devices. The presence of microelectromechanical system (MEMS) technology makes it possible to manufacture the miniaturized fuel cell systems. The majority of research on micro-scale fuel cells is aimed at micro-power applications. Performance of micro-fuel cells are closely related to many factors, such as designs and operating conditions. CFD modeling and simulation for heat and mass transport in micro PEM fuel cells are being used extensively in researches and industrial applications to gain better understanding of the fundamental processes and to optimize the micro fuel cell designs before building a prototype for engineering application. In this research, full three-dimensional, non-isothermal computational fluid dynamics model of a micro proton exchange membrane (PEM) fuel cell has been developed. This comprehensive model accounts for the major transport phenomena such as convective and diffusive heat and mass transfer, electrode kinetics, transport and phase-change mechanism of water, and potential fields in a micro PEM fuel cell. The model explains many interacting, complex electrochemical, and transport phenomena that cannot be studied experimentally. Three-dimensional results of the species profiles, temperature distribution, potential distribution, and local current density distribution are presented and analysed, with the focus on the physical insight and fundamental understanding. Micro-fuel cells are considered as promising electrochemical power sources in portable electronic devices. The presence of microelectromechanical system (MEMS) technology makes it possible to manufacture the miniaturized fuel cell systems. The majority of research on micro-scale fuel cells is aimed at micro-power applications. Performance of micro-fuel cells are closely related to many factors, such as designs and operating conditions. CFD modeling and simulation for heat and mass transport in micro PEM fuel cells are being used extensively in researches and industrial applications to gain better understanding of the fundamental processes and to optimize the micro fuel cell designs before building a prototype for engineering application. In this research, full three-dimensional, non-isothermal computational fluid dynamics model of a micro proton exchange membrane (PEM) fuel cell with serpentine gas flow channels has been developed. This comprehensive model accounts for the major transport phenomena such as convective and diffusive heat and mass transfer, electrode kinetics, transport and phase-change mechanism of water, and potential fields in a micro PEM fuel cell. The model explains many interacting, complex electrochemical, and transport phenomena that cannot be studied experimentally. Micro-fuel cells are considered as promising electrochemical power sources in portable electronic devices. The presence of microelectromechanical system (MEMS) technology makes it possible to manufacture the miniaturized fuel cell systems. The majority of research on micro-scale fuel cells is aimed at micro-power applications. Performance of micro-fuel cells are closely related to many factors, such as designs and operating conditions. CFD modeling and simulation for heat and mass transport in micro PEM fuel cells are being used extensively in researches and industrial applications to gain better understanding of the fundamental processes and to optimize the micro fuel cell designs before building a prototype for engineering application. In this research, full three-dimensional, non-isothermal computational fluid dynamics model of a micro proton exchange membrane (PEM) fuel cell with nature inspired flow field designs has been developed. The design inspired from the existed biological fluid flow patterns in the leaf. This comprehensive model accounts for the major transport phenomena such as convective and diffusive heat and mass transfer, electrode kinetics, transport and phase-change mechanism of water, and potential fields in a micro PEM fuel cell. The model explains many interacting, complex electrochemical, and transport phenomena that cannot be studied experimentally. Durability is one of the most critical remaining issues impeding successful commercialization of broad PEM fuel cell transportation energy applications. Automotive fuel cells are likely to operate with neat hydrogen under load-following or load-levelled modes and be expected to withstand variations in environmental conditions, particularly in the context of temperature and atmospheric composition. In addition, they are also required to survive over the course of their expected operational lifetimes i.e., around 5,500 hrs, while undergoing as many as 30,000 startup/shutdown cycles. Cold start capability and survivability of proton exchange membrane fuel cells (PEM) in a subzero environment temperature remain a challenge for automotive applications. A key component of increasing the durability of PEM fuel cells is studying the behaviour of the membrane electrode assembly (MEA) at the heart of the fuel cell. The present work investigates how the mechanical behaviour of MEA are influenced during cold start of the PEM fuel cell from subzero environment temperatures. A PEM fuel cell stack is laminated with a number of plate-type cells, and the latest model is assembled by compression from both ends of plates. PEM fuel cells are exposed to high magnitude vibrations, shocks, and cyclic loads in many applications. Vibrations during operation show significant impact in the longer run of the fuel cells. Frequencies which are not close to the resonant frequencies or natural frequencies show very little effect on the overall performance. However, if the frequency ranges of operation approaches the resonant frequency range, the probability of component failure increases. It is possible that there will be lateral transition of cells or leakage of fuel gas and coolant water. Therefore, it is necessary to evaluate the effects vibration has on the fuel cell. This work aims to understand the vibration characteristics of a PEM fuel cell stack and to evaluate their seismic resistance under a vibration environment. Natural frequencies and mode shapes of the PEM fuel cell stack are modelling using finite element methods (FEM). A parametric study is conducted to investigate how the natural frequency varies as a function of thickness, Young’s modulus, and density for each component layer. In addition, this work provides insight into how the natural frequencies of the PEM fuel cell stack should be tuned to avoid high amplitude vibrations by modifying the material and geometric properties of individual components. The mode shapes of the PEM fuel cell stack provide insight into the maximum displacement exhibited under vibration conditions that should be considered for transportation and stationary applications. Proton Exchange membrane (PEM) fuel cells are still undergoing intense development, and the combination of new and optimized materials, improved product development, novel architectures, more efficient transport processes, and design optimization and integration are expected to lead to major gains in performance, efficiency, durability, reliability, manufacturability and cost-effectiveness. PEM fuel cell assembly pressure is known to cause large strains in the cell components. All components compression occurs during the assembly process of the cell, but also during fuel cell operation due to membrane swelling when absorbs water and cell materials expansion due to heat generating in catalyst layers. Additionally, the repetitive channel-rib pattern of the bipolar plates results in a highly inhomogeneous compressive load, so that while large strains are produced under the rib, the region under the channels remains approximately at its initial uncompressed state. This leads to significant spatial variations in GDL thickness and porosity distributions, as well as in electrical and thermal bulk conductivities and contact resistances (both at the ribe-GDL and membrane-GDL interfaces). These changes affect the rates of mass, charge, and heat transport through the GDL, thus impacting fuel cell performance and lifetime. In this paper, computational fluid dynamics (CFD) model of a PEM fuel cell has been developed to simulate the pressure distribution inside the cell, which are occurring during fuel cell assembly (bolt assembling), and membrane swelling and cell materials expansion during fuel cell running due to the changes of temperature and relative humidity. The PEM fuel cell model simulated includes the following components; two bi-polar plates, two GDLs, and, an MEA (membrane plus two CLs). This model is used to study and analyses the effect of assembling and operating parameters on the mechanical behaviour of PEM. The analysis helped identifying critical parameters and shed insight into the physical mechanisms leading to a fuel cell durability under various operating conditions. The model is shown to be able to understand the effect of pressure distribution inside the cell on the performance and durability that have limited experimental data. Fuel cell technology is expected to play an important role in meeting the growing demand for distributed power generation. In an ongoing effort to meet increasing energy demand and to preserve the global environment, the development of energy systems with readily available fuels, high efficiency and minimal environmental impact is urgently required. A fuel cell system is expected to meet such demands because it is a chemical power generation device, which converts the chemical energy of a renewable clean fuel (e.g. Hydrogen) directly into electrical energy. Still a maturing technology, fuel cell technology has already indicated its advantages, such as its high-energy conversion efficiency, modular design and very low environmental intrusion, over conventional power generation equipment. Among all kinds of fuel cells, proton exchange membrane (PEM) fuel cells have many superior advantages. These advantages have sparked development efforts in various quarters of industry to open up new field of applications for PEM fuel cells. Three key issues limiting the widespread commercialization of the PEM fuel cells technology which are better performance, lower cost, and long cell life. The strategy of the Fuel Cell Research Center at the International Energy and Environment Foundation (IEEF) is to develop the PEM fuel cells to improve their lifetime with a much higher power density and lower cost. An overview of innovations in this field is presented using the published results of the center over the last decade. These innovative improvements will show a new scenario for the future fuel cell market of the next years. Proton Exchange membrane (PEM) fuel cells are still undergoing intense development, and the combination of new and optimized materials, improved product development, novel architectures, more efficient transport processes, and design optimization and integration are expected to lead to major gains in performance, efficiency, durability, reliability, manufacturability and cost-effectiveness. PEM fuel cell assembly pressure is known to cause large strains in the cell components. All components compression occurs during the assembly process of the cell, but also during fuel cell operation due to membrane swelling when absorbs water and cell materials expansion due to heat generating in catalyst layers. Additionally, the repetitive channel-rib pattern of the bipolar plates results in a highly inhomogeneous compressive load, so that while large strains are produced under the rib, the region under the channels remains approximately at its initial uncompressed state. This leads to significant spatial variations in GDL thickness and porosity distributions, as well as in electrical and thermal bulk conductivities and contact resistances (both at the ribe-GDL and membrane-GDL interfaces). These changes affect the rates of mass, charge, and heat transport through the GDL, thus impacting fuel cell performance and lifetime. In this study, computational fluid dynamics (CFD) model of a PEM fuel cell has been developed to simulate the pressure distribution inside the cell, which are occurring during fuel cell assembly (bolt assembling), and membrane swelling and cell materials expansion during fuel cell running due to the changes of temperature and relative humidity. The PEM fuel cell model simulated includes the following components; two bi-polar plates, two GDLs, and, an MEA (membrane plus two CLs). This model is used to study and analyse the effect of channel geometrical configuration on the mechanical behaviour of the PEM fuel cell components. The analysis helped identifying critical parameters and shed insight into the physical mechanisms leading to a fuel cell durability under various conditions. The model is shown to be able to understand the effect of pressure distribution inside the cell on the performance and durability that have limited experimental data. PEM fuel cell stack assembly process, including clamping pressure, material properties of each component, design (component thickness and cell active area), and number of cells in the stack are important factors influencing the performance and durability of the PEM fuel cell stack. Furthermore, when temperature and relative humidity increase during operation, the membrane absorbs water and swells. Since the relative position between the top and bottom end plates is fixed, the polymer membrane is spatially confined. Thus the GDL will be further compressed under the land and the intrusion into channel becomes more significant. Assembly pressure, contact resistance, membrane swelling and operating conditions, etc., combine to yield an optimum assembly pressure. The clamping pressure is therefore a critical parameter for optimal fuel cell performance and durability. Too high, too low, or inhomogeneous compressions have negative effects on the performance and durability of the stack. In this study, full three-dimensional, non-isothermal computational fluid dynamics (CFD) detailed model of a PEM fuel cell stack has been developed and coupled with a solid mechanics model to simulate the stress distribution inside the stack, which are occurring during fuel cell assembly (bolt assembling), and membrane swelling and cell materials expansion during fuel cell running due to the changes of temperature and relative humidity. The PEM fuel cell stack model simulated includes the following all components in full details; two end-plates, two current plates, two bi-polar plates with straight flow channels for reactants and cooling serpentine water flow channel on the upper face of cathode bi-polar plate, two GDLs, two gaskets, and, an MEA (membrane plus two CLs). The model is shown to be able to understand the many interacting, complex electrochemical, transport phenomena, with stress distribution inside the stack during operation on the performance and durability of the stack that have limited experimental data. Furthermore, the model is shown to be able to provide a computer-aided tool for design and optimize future fuel cell stack with much higher power density, long stack life, and lower cost. Mechanical degradation is often studied in single-cell proton exchange membrane (PEM) fuel cell stack models in assembly process. This however, can increase substantially when moving from assembly process to operation conditions; and also from single-cell to multiple cells. In this study, PEM fuel cell stacks consisting of 1, 3, and 5 cells with an active area of 25 cm2 per cell have been simulated in operation mode. Three dimensional non-isothermal solid mechanics-CFD model of a PEM fuel cell stack, integrating the real full scale geometry of all components have been used to study the influence of the number of cells on the stress distribution in a running PEM fuel cell stack. Simulation of a running multi cells stack was successful and has not been previously seen in literatures work. The results showed that the center of the electrode tends to un-displacement. This un-displacement area increases by increasing the clamping torque. The deformations in the stack components during operation were about ten times higher than during assembly process. During assembly process, the increasing in the number of cells increases the total displacement distribution. These status were different during operation, the increasing in the number of cells enhances the uniformity of the total displacement. Increasing the number of cells enhances the uniformity of the mechanical state. The better contact pressure homogeneity was obtained with the greater number of cells and leads to the lower contact resistance. In general, the results showed lower stresses values with lower distributions and more homogeneous and uniformity in the stack that consisting of multi cells. Copyright © International Energy and Environment Foundation (IEEF).